The British Foreign & Commonwealth (FCO) office just updated its travel advice for Angola. The Southern African country will hold the 2010 African Cup of Nations (CAN) and therefore the FCO is advising against independent travel to Angola. With an emphasis on a cultural experience our Angolan Southern Explorer builds on the success of previous tours in the south of the country with plenty of opportunity to meet remote tribal people, totally untouched by the outside world and whose way of life has remain unchanged for centuries. Previous clients have already described the trip as being amongst there greatest travel experiences anywhere. Although this is very much a trip for the pioneering traveller, you will be rewarded with many fascinating encounters with the local people who have no concept of tourism. Much of the journey will be off road and the distances will be long. Due to the remoteness of the area we have no alternative but to camp. The Coastal Explorer is the latest edition to our growing programme of Angolan tours. Hugging the stunning coastline our journey south from the vibrant capital, Luanda is based on stays at comfortable lodges and hotels, as well as some camping before reaching our final destination, the pleasant city of Lubango. Travellers will have the chance to discover deserted beaches, charming colonial towns, national parks and a desert landscape, best explored by quad bike that is even more spectacular than Namibia’s famous Skeleton Coast. Our Beach Adventure is an opportunity to explore Angola, Southern Africa's final frontier. A spectacular land of stunning natural wonders and a people of broad smiles and big hearts. The Angola Beach Adventure is ideal for those not wishing to travel overland, yet want to get a feel for the country, possibly with the view to going back and doing something a little more challenging next time. Although based at the comfortable Flamingo Lodge, on the country’s Atlantic coast, this is still a pioneering trip of adventure and discovery. Even getting to Flamingo is an adventure in itself. Our drive from Lubango, at 1,300m, is via the breathtaking Lebba Pass down to the Atlantic coast, before a 40km drive along a deserted beach before reaching the lodge. Once at Flamingo we take in some incredible desert scenery and a visit to a nearby sandstone canyon. Excellent sea fishing is also available and trips can be arranged locally. Flamingo Lodge is situated in a scenic setting against low cliffs on the beach near the mouth of the dry Rio dos Flamingo. This area of coast is at the northern extent of the Namib Desert and is practically devoid of other tourist activity. Flamingo Lodge consists of seven rustic bungalows with comfortable beds, showers and flushing toilets. Our Northern Explorer samples the very best of Angola; from the vibrant capital Luanda to remote waterfalls, stunning landscapes scattered with coffee plantations, a fabulous coastal drive as well as a stop at Kissama Game Park. Although still pioneering and including a lot of travel over some of the worst roads in Africa, this tour will appeal to those looking for a slightly softer adventure. Being a hotel based trip; with no camping this is the perfect way to discover a hidden and most remarkable corner of Angola. 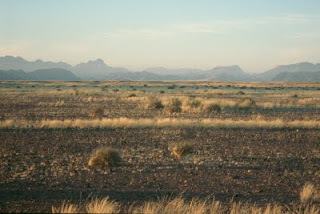 Namibia: Kulala & NamibRand Nature Reserves - fence has been dropped! The boundary fence between the Kulala Nature Reserve (37 000ha), owned by Wilderness Safaris, to the NamibRand Nature Reserve (172 200ha) in Namibia has been dropped in a bid to better manage environmental concerns. The agreement of the two organisations is focusing on natural resource management and unrestricted wildlife movements between the reserves. Both organisations have agreed to work together in the interest of conservation. In the future, wildlife management and research within this area will be undertaken cooperatively. The land is currently being rehabilitated. Namibia - experience it yourself! Namibia is currently one of the fastest growing tourist market in Southern Africa. South Africa's neighbor is a holiday paradise - vast landscapes, mountains, the desert (the Namib is acutally the second oldest desert in the world), the desert meeting the Atlantic Ocean, Etosha National Park and so much more! 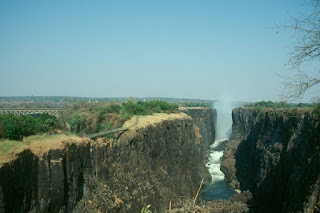 A Zimbabwean tour guide working for a South African safari company has plunged at the Victoria Falls. The guide who was, according State media in Zimbabwe, working for Sunway Safaris, was trying to save a tourist who was about to fall into the gorges at a spot called "The Devil’s Pool". His body is not yet recovered; with a 90 metre drop, authorities said there was little chance of finding him alive. St. Augustine: "The world is a book and those..."
GAP Adventures: Antarctica Cruise Sale: 2 for the price of 1! GAP Adventure's expedition tours are over 90% sold out for the season but they have one very special offer for their first departure. Travel on the October 31st departure of their Grand Voyage to Antarctica and they'll offer you 2-for-1 savings! That's right, one person goes to Antarctica for free! This 24-day tour is the mother of all Antarctica tours and covers all the highlights you'd want to see. Quote promo code GV241 at the time of booking to redeem this offer. If you like their Grand Voyage to Antarctica tour you may also like their regularly priced Antarctic Classic and Beyond the Antarctic Circle tours. Departures of these tours are almost sold out so be sure book your space now. 2 for the price of 1 or 50% off single travellers when booking trip codes XVGVSX or XPGVSX only. Promo must be redeemed by October 25th, 2009. Promotion applicable to new bookings only, cannot be combined with any other discounts or promotions and does not apply to optional extras such as 'my own room', single supplements, local payments and applicable in-country fees. Mpumalanga, Blyde River Canyon, Bourkes Luck Potholes, Kruger National Park, Milwane Game Reserve, Drakensberg Mountains, Cape Town, Pretoria, Durban, Wild Coast. This journey through South Africa, Mozambique, and Swaziland takes in the best of what the region has to offer - wildlife, culture, and adventure. This is an ideal trip for those looking to have some fantastic wildlife experiences in world famous parks, enjoy the beaches and feel the latin buzz of Mozambique, participate in some great outdoor and cultural activities, and explore one of the world's more cosmopolitan cities, Cape Town! Livingstone, Ntwetwe Pan, Khama Rhino Sanctuary, Mokolodi Game Reserve, Serowe, Waterberg, Pretoria. A 10-day journey through South Africa, Botswana, Namibia and Zambia for the true nature enthusiast. Abundant wildlife and spectacular landscapes will make this an adventure you'll never forget. The movie "The Constant Gardener" is based on a 2001 book by well-known author John le Carré. It tells the story of Justin Quayle, a British diplomat in Nairobi, Kenya, whose activist wife Tessa is murdered. Believing that there is more behind the murder, he seeks to uncover the truth behind her death. He finds an international conspiracy of corrupt bureaucracy and pharmaceutical money. Tessa uncovered a corporate scandal in which a large pharmaceutical company working under the cover of AIDS tests and treatments is testing a tuberculosis drug that has severe side effects. Barclay Bank's ATM in Victoria Falls working again! I just got a mail via facebook from the Backpacker's Bazaar team in Victoria Falls, Zimbabwe, saying that Barclays Bank in Victoria Falls town has activated their cash machine. You can now withdrawal US$ at the machine (max. is 400US$/day). The ATM is currently only accepting VISA cards, but the MASTERCARD network is going to be activated in the next couple of weeks. Backpacker's Bazaar still advices people to bring with them cash as this is still in the early stages as a back up. So asks Tanzanian sociologist Mama Lyimo (pronounced “Lee-Mo”) about the horrific and emotional toll of the HIV/AIDS death rate in her East African country. A woman of immense heart and strong will, Lyimo wants to know why hundreds of thousands of her countrymen and women are dying each year, leaving behind children with no one to care for them, no one to comfort them, no one to teach them. intimate than she could have ever imagined. Director Peter Glenn worked with Mama Lyimo for two years before filming began on “Into the Light”. Frustrated that millions of dollars and work hours had amounted to few successes in the fight against AIDS, Lyimo called Peter to task. Shot on location across the stunningly beautiful landscape of Tanzania, the musical score for “Into the Light” is by “Tsotsi” and “Rendition” composer Paul Hepker who is accompanied by the soulful voice of acclaimed East African artist Ayub Ogada (“The Constant Gardner”). One woman’s commanding proclamation on the state of the human condition, “Into The Light” is both devastating and inspiring: from a caring heart to the driven action of a woman on a mission, “Into The Light” strikes a note of hope amidst a sea of pain. The Millennium Foundation for Innovative Finance for Health today announced MASSIVEGOOD, a new, innovative travel-related fundraising initiative that will help finance health care for the world's poor. During a high level meeting at the United Nations, leading representatives of the global travel and tourism industry joined, for the first time ever, to declare their support for this program. KLM: Greater comfort in Economy Class... not for free though! With effect from December 2009, passengers travelling in Economy Class on all intercontinental flights operated by KLM Royal Dutch Airlines can choose seats offering greater comfort. The new Economy Comfort zone offers up to 10cm more legroom and back supports that can recline twice as far. Economy Comfort passengers can also disembark quicker after landing because their seating zone is located at the front of Economy Class. Depending on the distances involved, the price of the new zone will amount to between €80 and €150 for a single leg of the journey. Flying Blue Platinum members and passengers travelling on a full-flex Economy Class ticket can book Economy Comfort seats without a surcharge. Flying Blue Gold members will be offered a 50% discount and Flying Blue Silver members 25%. The service in Economy Comfort will be the same as that in Economy Class. Economy Comfort seats can be booked from the end of November on klm's websites or at the airport using the self-service check-in or transfer kiosks. What's your pleasure in South Africa? Hiking and biking over open plains? Watching a spectacular desert sunset? Checking out the wildlife or living it up in cities bursting with culinary, cultural and vineyard delights? If you answered 'all of the above', this guidebook's for you. Nestled at Africa's southern tip, Cape Town offers an enticing taste of an entire continent. Somewhere between the good looks of this cosmopolitan city and the realities of its surrounding suburbs, you'll find the true Cape Town. Hostelworld: 1,000 FREE Travelnroam mobile SIMs up for grabs! Hostelworld.com along with our their Travel Store partner Travelnroam has joined forces to bring you a VERY limited giveaway! From 00.01 GMT on Tuesday 22nd September (that's one minute past midnight Greenwich Mean Time in case you were wondering), 1,000 lucky bookers will receive a FREE Travelnroam mobile SIM card worth €15 preloaded with €5 free calling credit. To be in with a chance to get a hold of one of these 1,000 SIMs all you have to do is make a booking on Hostelworld.com from 00.01 GMT this coming Tuesday September 22nd. But be sure to book early as they'll be snapped up in no time! Travelnroam is the only SIM you need for your mobile phone when you are travelling. With coverage in 203 countries, you can enjoy rates as much as 80% lower than roaming with a traditional mobile phone carrier. Travelnroam is simply the only way to roam! This special offer starts at 00.01GMT on Tuesday 22nd September until stocks last. Terms and Conditions apply. You'll wake up really early in the morning, before sunrise, brush your teeth, take a moment to chill, and then suddenly WHABAM!! you'll see our friendly driver appear as if miraculously, to scoop you up and safely transport you to your African dream. As your eyes slowly start adjusting to the break of dawn, you'll catch your first glimpse of Africa's jewel, "The Kruger National Park". Once there, you'll hop onto our OPEN SAFARI VEHICLES and adventure truly begins. You'll be in the bush for most of the day; we'll feed you a spectacular, breakfast, lunch, and dinner, our guides will give you loads of valuable information about our wildlife and the area. You get to sit back and enjoy discovering the Kruger, learning about conservation, animal nature and all the while taking in the sights, sounds and smells of the African Bushveld. The evening is spend round the camp fire enjoying a traditional African meal under the stars. It is day two now, and you don't have a bus to catch... YAY!. You've woken up before sunrise and the game drives begin! What to do after breakfast? You are on a safari, remember? Back into the bush with you, you couldn't possibly have seen it all in one day, there is a whole world to explore, more lions, more ellies, baby rhinos, NATIONAL GEOGRAPHIC LIVE! More great food, another whole day in the wild, exactly what you need, your dream... a reality. On the morning of the third day you set off on your final game drive before breakfast and being transferred back to Nelspruit or the airport in time for all major bus services. What to bring along: Cameras, sunscreen, jacket for early mornings and evenings, swimsuit, insect repellent and a torch. According to "The Zimbabwe Guardian" a third new Zimbabwean airline is about the lauch a countrywide and international service. The carrier known as VicFalls Airways will have a maiden flight in November. The main hub for the airline will be Harare International Airport and will be used for flights to both African and non-African cities. Flights to Dubai and United Kingdom are also being considered. It's the WHISKEY, WHALES & JAZZ Festival in Plettenberg Bay on the Garden Route, which is a annual event, and it begins today with some of the country’s greatest jazz talents who will be performing at various funky venues until next Saturday. The festival includes a week-long celebration featuring whisky tastings, whale safaris, jazz performances and sporting opportunities. 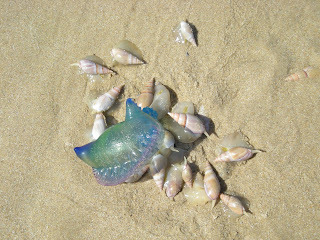 The festival kicks off with a welcoming of the whales ceremony on Plettenberg Bay’s Central Beach and a concert at The Whitehouse featuring Offshore, Ben Badenhorst, Haydn Gardner and Xolani Faku. The sports events this weekend include the Whisky, Whales and Jazz Golf Day at Goose Valley and the Robberg Express multi- sport event. This comprises a 40km mountain bike race through the Harkerville forest, a 10km trail run over the Robberg Peninsula and a 10km ocean paddle in the bay. There is also the Robberg Raggie, which features half-distances in each discipline. Jazz artists will appear at various venues, including fu.shi fusion cuisine, Gilly’s Grill, Surf Cafe and Bramon Wine Estate during the week, while the annual Heritage Day concert will take place at Simunye in KwaNokuthula on Thursday. With more community involvement this year, the Inspiring Afrika! Initiative, which will see various activities in the townships of Plett, including the Nama Festival in Kranshoek on Thursday. Local artists, crafters and performers will also get a chance to display the region’s talent during the week-long festival. This year’s event would include a wider variety of popular music in English, Afrikaans and African languages. We want to make the festival even more inclusive and appealing to both local residents and visitors, and have included a greater entertainment variety. Children will be entertained by Lunchbox Theatre’s The Whale Show, while Bitou Tourism will sponsor shows at various primary schools. The festival will end on a high note with a street party in Plettenberg Bay next Saturday. The video was filmed from the upper balcony at Longstreet Backpackers on Longstreet in Cape Town. The background song "Atmosphere" is played by South Africa's virtual busker Tristan Waterkeyn. You can download the song and the whole album "Hay Day" for free on his website! Click here for more info! As from 01 Oct. 2009 Emirates Airlines will connect Durban on South Africa's east coast with Dubai in the United Arab Emirates on a daily basis. This is making Durban the third airport in South Africa, beside Johannesburg & Cape Town, to which Emirates is daily flying to. Emirates will also launch the Durban route with an introductory fare of R4 595 (only SA) for passengers travelling to Dubai. The fare is valid from the route’s first flight on October 1, until October 31. OLYMPIC Airlines has confirmed that they will stop all intercontinental flights, including South Africa on 28 Sept 2009. Contact your nearest Olympic Airlines office for refunds or the re-protection of partially unused tickets etc. Due to road upgrades at Cape Town International Airport that will take place from September 16 for six weeks, major delays getting in and out of the airport may occur. There will be a network road upgrade and it will impact the car rental companies and operations. Click here to get a directional map of the airport. Maropeng launched a new fossil display today, September 2, 2009, entitled Evolution: digging for an understanding. The display illustrates and explains the theory of evolution which was made famous by Charles Darwin.. In particular, Charles Darwin provided a mechanism for evolution, namely natural selection. “The display tells a story,” says Lindsay Marshall, the exhibition curator at Maropeng. The exhibition aims to provide clear and understandable information to help educate and inform the public on evolution. /Ai /Ais is open for visitors! One of Namibia’s best-known tourist destinations is operational again after almost two years of extensive redevelopment and renovations. In future /Ai /Ais will be marketed as the /Ai /Ais Hot Springs Spa, part of Namibia Wildlife Resorts’ portfolio of facilities located inside national parks. /Ai /Ais is situated in the /Ai /Ais Richtersveld Transfrontier Park, Namibia’s first park crossing international borders. The park straddles the Orange River, which forms the border between Namibia and its southern neighbour, South Africa. The resort is also the end destination of the world-famous Fish River Hike. N$30 million was spent to renovate, upgrade, partly reconstruct and add new facilities to the forty-year-old infrastructure. Disgrace is a 2008 film based on the 2003 Nobel Prize winning novel by South African author J.M . Coetzee. The film got released in South Africa at the 14 Aug 09 (Cinema Nouveau), in the US at the 11 Sept 09 and will get released in Germany at the 17 Sept 09 and in the UK at the 4 Dec 09. David Lurie (John Malkovich) is an edgy 52 year old divorced white professor in post-apartheid South Africa who gets involved with a student and is fired. After moving to the Eastern Cape to stay with his daughter, he becomes wrapped up in racial politics. White-water rafting was introduced to Swaziland in 1991 and is renowned as the best white-water in Southern Africa, south of the Zambesi. 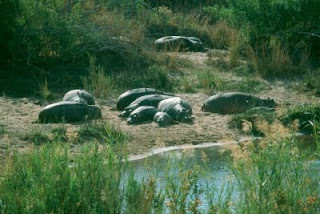 Operated by Swazi Trails the standard format is a half or full day guided river trip. The Great Usutu River offers a variety of Grade II to Grade IV white-water rapids. Trips are undertaken in 2-man, inflatable "croc" rafts and guided by local river guides in kayaks. Rafting in various formats is available 365 days a year. Departures are guaranteed for a minimum of two persons. The Great Usutu is Swaziland's largest river. It flows from the South African highveld through central Swaziland and exits the Kingdom near Big Bend. Thereafter it winds past Nduma in KwaZulu-Natal and up to the Bay of Maputo in Mozambique. The Swazi Trails rafting stretch runs from a location between the villages of Sidvokodvo and Siphofaneni, which is known as the Bulungapoort. Although the river changes dramatically from full to low water levels, there is always a selection of Grade 2 to 4 rapids to be attempted. At certain medium and high water levels some stretches become Grade 5 in difficulty, with optional or compulsory portages at the river guide's discretion. The river is wide and at lower water levels it winds its way between numerous islands and sandbanks, which are otherwise covered during the full water season. The location is scenic with tall mountains and forested riverbanks, interspersed occasionally by rural Swazi homesteads. This booking option that you are currently browsing is for a full day White Water Rafting trip - generally available November through to May annually. If you prefer a half day river rafting trip, which is available all year round then try - White Water Rafting Half Day. If you would still like a full day of adventure, but are planning to visit in the winter season June to October, then try our great value White Water Rafting Abseiling Tubing Combo. Pickup info: Trips depart Swazi Trails office between 08h30 and 09h00 daily. Swazi Trails are situated within the Mantenga Craft Centre in the Ezulwini Valley. There is safe parking for vehicles. A hotel or lodge pick-up in the Ezulwini, Mbabane and Manzini areas can be arranged at an additional charge. Free pick-ups are often provided when logistically possible, especially for larger groups or for participants accommodated in the direction of the tour departure. If unsure just ask as a special request when booking. South African Airways (SAA) has increased its number of flights from Johannesburg's OR Tambo International Airport to the Western Australian city of Perth from five to seven flights per week. In addition to that, SAA has another six codeshare flights (with Quantas) to Sydney. Brussels Airlines recently joined the "Star Alliance" network so that their passengers can now fly via Frankfurt to the Lufthansa destinations Accra (Ghana), Khartoum (Sudan), Johannesburg and, in winter, Cape Town (both South Africa), under a Brussels Airlines flight number (codesharing). South African airline Federal Air has announced that from 01 October 2009 the company will offer flights with in Zimbabwe, including a shuttle service from Harare to Kariba and surrounding areas. If you're interested in humanitarian tours, this is an unparalleled opportunity to combine adventure travel on this tour of African countries with helping some of their most disadvantaged people. During this 25-day humanitarian trip, you’ll visit Botswana, Namibia and finally Zambia, where you’ll help with AIDS sufferers and orphans in a mission village. Along the journey you’ll see numerous incredible landmarks and you'll also have a few days of leisure in Botswana to relax, safari and just soak up the atmosphere of the African bush. There are also stacks of optional activities in and around Victoria Falls, including bungee jumping, canoeing and elephant rides! 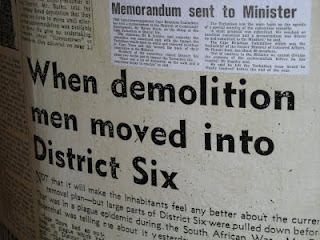 The worldfamous District Six museum in Cape Town is going to increase the entrance fee from R15 to R20 at the 02 Nov 2009. The entrance fee for school children and South African pensioners will remain constant at R5; former District 6 residents and other people from areas of forced removals will continue to enter for free. 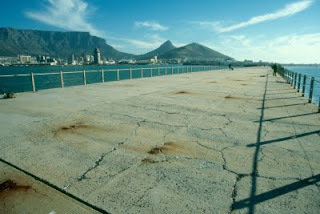 Cape Town's Greenmarket Square is turning 300 years old next year and therefore it will undergo a major revamp. According to the City of Cape Town among the improvements are a newly constructed market, the installation of additional CCTV cameras and pedestrian lights, paving the sidewalks and the addition of a stage for entertainment. Game still very concentrated around watering holes, dams etc. South Africa's budget airline 1Time has announced that they will launch its flights from Johannesburg to Livingstone (Zambian side of the Victoria Falls) on 26 Nov 2009. The flights will operate four times a week (Mondays, Thursdays, Fridays and Sundays) and from Feb 2010 five times a week (Saturdays). 1time will launch with airfares starting from R897 (incl. tax) oneway. The Zambezi River is classified as a high volume, pool-drop river, i.e., there is little exposed rock either in the rapids or the pools below the rapids. The distance between rapids varies from 100 m to 2 km. The gorge itself is approximately 400 feet deep at the put-in point and 750 feet at the take out point and drops about 400 feet over the 24 km covered in the trip. During low water, guests can do a full or half day trip. At the end of a full day or a half day trip, there is a lift out of the gorge. The tour is inclusive of meals and drinks for the day. The Oystercatcher luxury fully guided hiking trail offers educational insight, through interaction, into the plight of these amazing, highly endangered birds, coastal dune fauna and flora as well as historic cultures of the region along the Garden Route in South Africa. The trail is a five day / four night educational experience where you hike on the local cliff edge, rocky shorline and sandy beaches with a professional guide. The accommodation is in four- and five star quality graded Cape Fisherman's Cottages and all meals are included. The coastal trail takes you from the historic St. Blaize cave in Mossel Bay to the Gourits River in four days of hiking with panoramic views from the cliff edge and beaches. 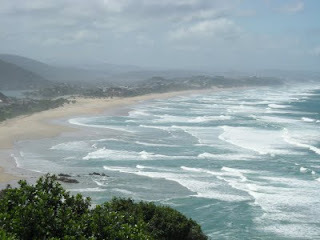 It is situated on the Garden Route. Day 1: Arrive in Boggoms Bay or Mossel Bay via our transfer or self drive and settle into your luxury cottage. A briefing will be held at the dinner table or at your accommodation early evening. Day 2: Meet your guide after breakfast (or if you are at Boggoms Bay we transfer you to the start of the trail) and start hiking from the historic St. Blaize cave in Mossel Bay, follow the cliff edge with breathtaking panoramic views and later the trail transfers to coastal dunes on the cliff edge just short of Dana Bay. We transfer you to Boggoms Bay and your luxury Cape Fisherman's Cottage. Day 3: After breakfast we transfer you to Dana Bay for a day of beach hiking where there will most probably be many Oystercatchers to see. Hike back to Boggoms Bay where an optional extra massage will leave you feeling pampered. Day 4: You hike on the beach and rocky shoreline via historic Fransmanshoek and over the huge Kanon dunes to the Cape Vacca Private Nature Reserve where you overnight (or we take you back to your luxury cottage at Boggoms Bay). BBC documentary podcast: Why is Africa poor? Mark Twain: "Twenty years from now..."